This second group were two girls from Germany. 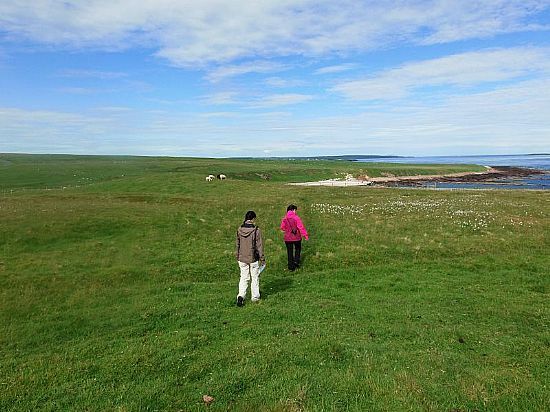 23rd Taken to Duncansby Head then walk to Ferry and visited Orkney. 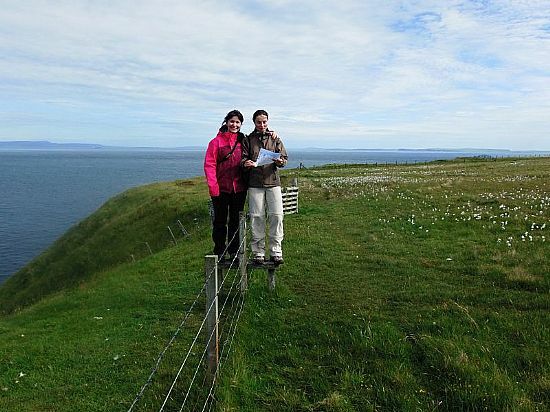 24th Walk from Brough to Thurso. 25th Visited Castle of Mey and then a wlk around Scrabster. 26th Taken to Melvich and walked to Strathy Point. 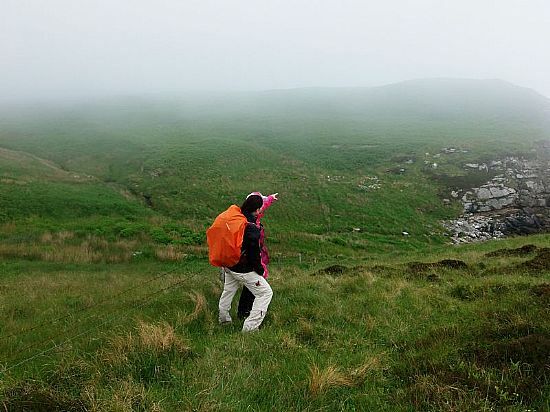 27th Walked from Strathy to Bettyhill. 28th Walk from Bettyhill to Talmine. 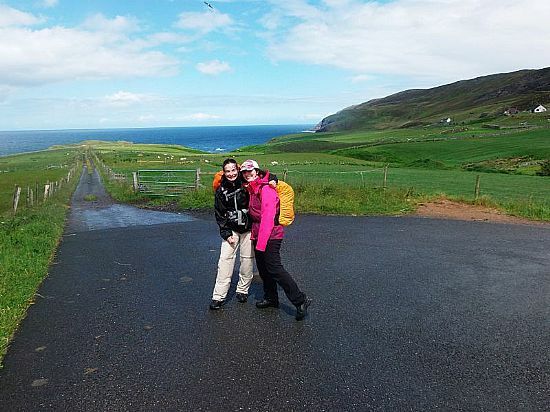 29th Taken to Polla by Loch Eriboll and walked to Durness. 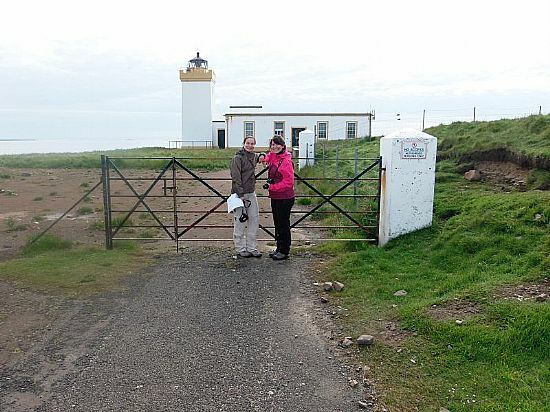 30th Bus to Ferry then a walk to Cape Wrath Lighthouse and return. 1st Bus to Kinlochbervie then a walk to Sandwood Bay and return. I HOPE TO OBTAIN MORE PICTURES FROM THE TWA LASSIES. 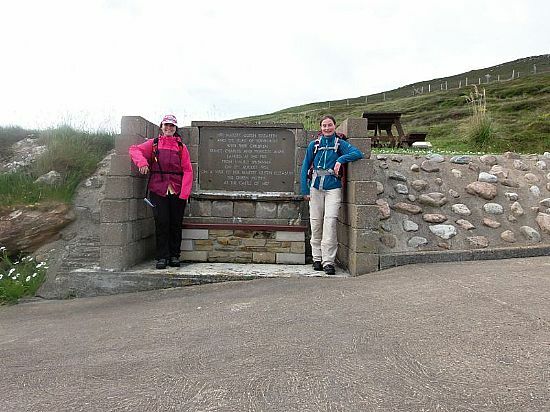 The start of the walk from Duncansby Head to John O'Groats. 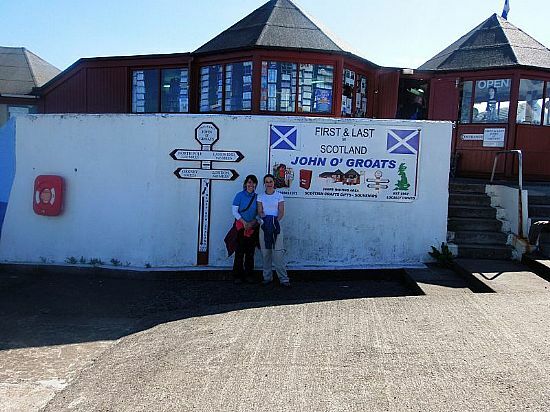 The First and Last Shop on the Scottish mainland. 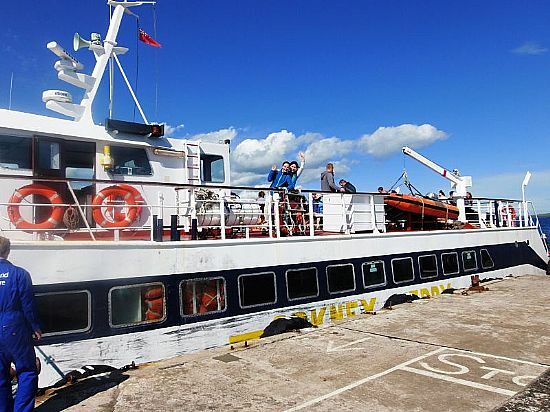 Taking the ferry to Orkney for the Maxi Tour. Oh no its the FOG!!!!!! Dwarwick Pier where the Queen Mother and Family landed to go to the Castle of Mey. Walking through the fishing village of Kirtomy.